Recipients of the John Monash Scholarships are recognised as John Monash Scholars. 182 Scholars have been selected to date, all of whom possess significant leadership potential, are outstanding in their chosen fields and aspire to make the world a better place. John Monash Scholars are already demonstrating their value by contributing to Australia’s future as scientists, academics and business people, as well as contributors to policy in key areas such as water, health and Indigenous affairs. Captain William Leben is an Armoured Corps officer in the Australian Regular Army. He has a Bachelor of Arts (Honours) in International and Political Studies from the University of New South Wales, Canberra. He recently returned from operations as a Training Team Leader in Iraq. With his John Monash Scholarship, William will undertake an MPhil in Development Studies at the University of Oxford. William’s particular interest is in processes of change and the causes of conflict in Australia’s near region. On completion of his studies he intends to continue service with the Army making contributions to Defence and foreign policy. Dustin completed a Bachelor of Arts (Honours) from Swinburne University of Technology and an MPhil in Development Studies from the University of Cambridge. He worked on refugee issues in Australia before spending the past nine years supporting social change movements in Asia and East Africa and is currently based in Somalia. Dustin is motivated by many inspiring people defying adverse situations and to this end will pursue a PhD in Development Studies at the University of Cambridge. He hopes his research and advocacy will improve the effectiveness of Australia’s aid in supporting civil society in fragile countries, which is critical to advancing peace and justice. Minh-Quan has a Bachelor of Arts, Diploma in Languages and Juris Doctor from the University of Melbourne, where he was awarded the Bachelor of Arts Medal and the Supreme Court Prize. He was an associate to Chief Justice French and Justice Gordon of the High Court of Australia and now works for the Solicitor-General for Victoria. Minh-Quan will use his John Monash Scholarship to undertake a Bachelor of Civil Law at the University of Oxford. His study will concentrate on comparative public law and public law theory with a focus on addressing emerging challenges to the legal accountability of governments and public institutions. Maris is an Australian diplomat with a Bachelor of Science and a Bachelor of Commerce from the Australian National University. He also spent time undertaking research and study at the University of Cambridge, the University of California Berkeley and the University of Tokyo. Maris serves at the Australian Embassy in Belgrade, covering political affairs for four countries in Southeast Europe. His study in London will focus on the communication of the research that informs policy, with the aim to help Australian politics and diplomacy adapt to the fast-changing world. Maris was previously Young Canberran Environmentalist of the Year and co-founded a social enterprise, Take Flight Education, that engages children in science using dance. Kay has a Bachelor of Philosophy (Science) with Honours in physics from the Australian National University. She is passionate about clean energy and believes that nuclear fusion is the clean, safe and reliable energy solution the world needs. With her John Monash Scholarship Kay will complete her DPhil in Engineering Science at the University of Oxford, researching the effects of irradiation damage to steels for use as structural materials in the next generation of nuclear fusion reactors. Kay’s vision is to expand the scope of Australian fusion research and its impact on the global community. Brendan graduated from the University of Melbourne as Valedictorian of the MBBS/BMedSc Class of 2010. He is a Royal Australasian College of Surgeons advanced trainee in Paediatric Surgery with a focus on major congenital abnormalities. Many of these anomalies lead to life-shortening organ failure. Brendan will undertake Doctoral studies in intestinal organ engineering at University College London, Great Ormond Street Institute of Child Health. The aim of his research is to develop techniques to produce organs on demand from the patient’s own stem cells, providing the child with a durable and functionally-matched replacement organ. Brendan plans to return to Australia with the skills to translate these cutting-edge therapies from the laboratory bench to the treatment of Australian children. William completed his Bachelor of Medicine and Bachelor of Surgery from the University of Adelaide. He is currently completing a Master of Clinical Education through the University of Melbourne. With his John Monash Scholarship, William will complete a Master of Public Health at Harvard, specialising in Clinical Effectiveness. Following this, he plans to complete intensive care training. William intends to return to work as an intensivist in central Australia, with particular interest in retrieval and post-admission care of critically ill patients in remote Australia and working towards creating a robust Indigenous medical workforce and teaching. Alexander has a Bachelor of Telecommunications Engineering (Honours) from the University of Adelaide, where he studied as a Charles Hawker Memorial Scholar. With his John Monash Scholarship, he plans to undertake an MSc in Mathematical Modelling and Scientific Computing at the University of Oxford. Volunteering in Timor-Leste instilled Alexander with a strong desire to support the sustainable development of Australia's neighbours and to lead the world in addressing shared challenges, such as climate change. Alexander aims to help create the next generation of reliable, inexpensive and low-emissions energy systems and to further the use of scientific modelling in public policy. Ashlee has a Bachelor of Arts and Bachelor of Laws from the University of Western Australia, where she received the Ciara Glennon Memorial Scholarship and the Geoff Ajduk Memorial Prize. She is completing a Master of Laws and Development from the University of Melbourne. Ashlee is a Senior Legal Officer in the federal government working in public international law. She has been legal advisor on Australian delegations for international meetings on trade and environment and participated in discussions on investment law reform in the United Nations Commission on International Trade Law. Ashlee has worked with Global Citizen and the World Health Organization. Ashlee’s postgraduate study will focus on the design of legal solutions to address concerns with international investment law and ensure new frameworks benefit public interest. Georgia holds an MBBS and Bachelor of Arts from the University of Western Australia, where she graduated as Dux of the College of Medicine. She also has a Diploma of Child Health from the University of Sydney. She works at the Royal Children's Hospital in Melbourne. With her John Monash Scholarship, Georgia will build skills in research methodology, public health and policy, and clinical management of childhood infections. She will then go on to work as a Research Clinician in The Gambia, West Africa, to identify strategies for preventing neonatal mortality in under-resourced settings. On completion of her training Georgia intends to practice as a paediatrician in the Northern Territory and be a public health advocate at the core of changing the underlying social determinants of poor Indigenous child health. Hugh is an urban planner at GHD, a leading international engineering company, and guest lecturer at RMIT and the University of Melbourne. Hugh has worked on a variety of projects, including the Level Crossing Removal Authority, North East Link, Western Distributor Authority and the Office of the Victorian Government Architect. Hugh is the outgoing State Convenor of the Victorian Young Planners committee for the Planning Institute of Australia. He holds a Master of Urban Planning (Honours) and Bachelor of Environments from the University of Melbourne. 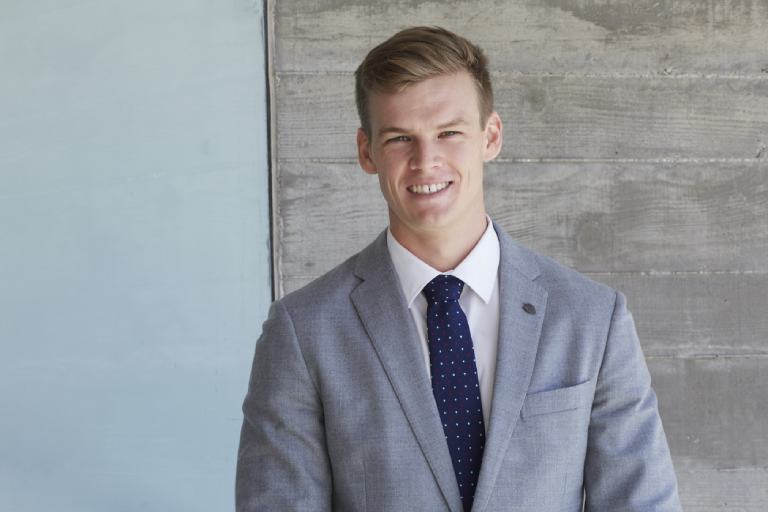 With his John Monash Scholarship Hugh will undertake a Master of Science in Urban Planning and plans to lead the development of smart and inclusive cities through public policy and sustainable infrastructure. Freya has a Bachelor of Arts (Honours) from the University of Sydney. 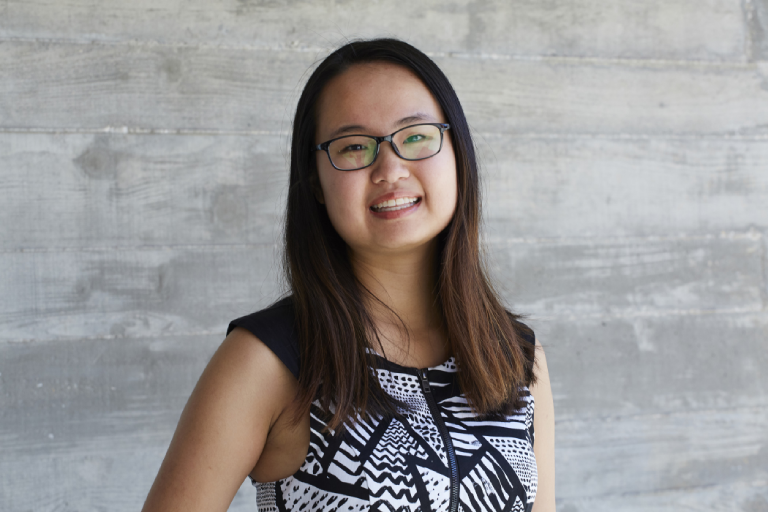 As the Creative Technology Awardee in the University of Arts London business accelerator program, she is currently building a social enterprise that uses technology to connect garment workers to non-exploitative employment opportunities. 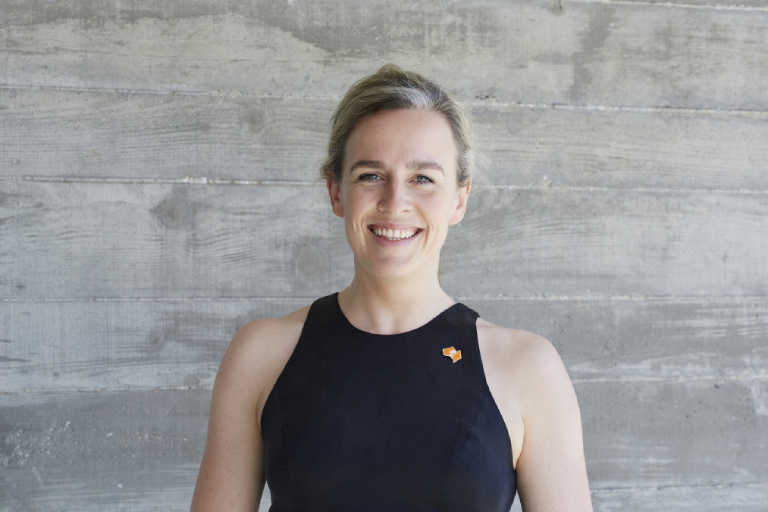 Freya intends to study an MBA at University of Oxford in order to develop and implement an alternative supply chain for the Australian Fashion Industry and transform Australia’s Fashion Industry into a global best practice model for ethical fashion with women's empowerment at its core. Sarah is a social justice lawyer who represents disadvantaged and marginalised clients at Legal Aid NSW. She is the NSW Co-Convenor of Australian Lawyers for Human Rights and worked as Research Director to the Chief Justice of NSW. Sarah holds a Bachelor of Arts and a Bachelor of Laws (Honours) from the University of Sydney. With her John Monash Scholarship, Sarah will complete a Master of Laws, where she will engage in comparative study on the use of public and anti-discrimination law to address housing inequality. She intends to pursue a career leading legal advocacy and law reform to address social inequality in Australia. Melissa-Ann has a Bachelor of Laws and Bachelor of Arts (International Relations) from the University of New South Wales. She is a Management Consultant at McKinsey & Company, where her work has focused on strategy and regulatory reform in the public sector – both in Australia and the United Kingdom. Her ambition is to meaningfully reform social policy in Australia. In particular, she is interested in designing and implementing policy interventions to reduce the incidence and impact of long-term welfare dependency. Melissa-Ann plans to study for a Master of Public Policy at the Harvard Kennedy School, focusing on political and economic development. Jessie is a solicitor who held joint conduct of the largest terrorism and national security law practice in Australia. She completed her BA (Honours) and an LLB (Honours) at the University of Melbourne. Jessie has worked closely with terrorist offenders to develop a blueprint for the nation's first forensic de-radicalisation program to assist a court pre-sentence. With her John Monash Scholarship, Jessie will complete a PhD at Cambridge, exploring how courts might encourage and evaluate the renunciation of violence with significant implications for Australia's domestic security. Michaela has a Bachelor of Science (Honours) in Electrical Engineering and Economics from the University of Western Australia (UWA) and currently works as a Graduate Engineer. Her research accomplishments while working at UWA’s Optical and Biomedical Engineering Laboratory include a provisional patent on fibre probes to diagnose cancer and presentations related to the use of these probes. With her John Monash Scholarship, Michaela will pursue a DPhil in Biomedical Engineering at the University of Oxford. Her study will focus on innovative medical imaging and engineering technologies that can be used to enhance our understanding and treatment of cancer, cardiovascular and neurological diseases. Zoe has a Bachelor of Laws (Honours) from the University of Western Australia (UWA). She is a solicitor at the State Solicitor's Office of Western Australia, tutor and guest lecturer at UWA Law School, and an elected member of WA Law Society's governing Council. In 2016, she was Associate to the Hon. Justice Barker at the Federal Court of Australia. Zoe's criminal justice reforms in relation to Indigenous peoples with FASD have been adopted by a Senate Standing Committee, published in peer reviewed journals, presented at international conferences and taught at UWA Law School. At 14 years of age, Zoe established Bridges Eating Disorders Association. Zoe will study a Master of Laws at Columbia University focusing on criminal justice responses to neurodevelopmental disorders, particularly in the context of Indigenous populations.